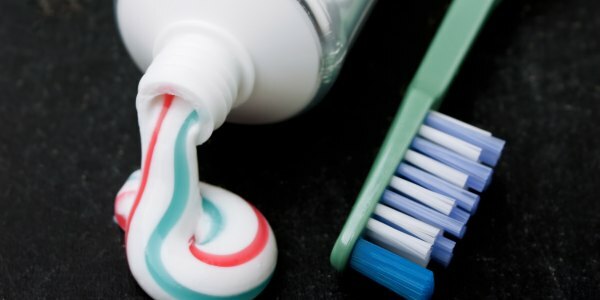 Toothpaste truly is a marvelous product, especially when it is used to brush your teeth! Thanks for visiting us at Shoreline Endodontics of Groton, CT.
There’s one cheap product everybody owns (or should own!) that has a bunch of clever uses around the house: toothpaste. It contains mild abrasives and detergents mixed with creamy thickening agents that keep your teeth clean and bright. We tried it and found that those same ingredients can help you MacGyver solutions to a number of messes without resorting to expensive specialized products that just end up in a cluttered pile under your kitchen sink. Don’t use colored toothpaste or gels for any of the following tasks because they could leave stains. Grab a plain old tube of white — it just might become your new favorite home care product. 1. Polish jewelry. Apply a thin film of toothpaste to dull stones or tarnished metal with a soft toothbrush or cloth. Polish gently, rinse with water, and dry. If the tarnishing is heavy, apply a thicker coat and let it sit for an hour. Do not use toothpaste on pearls, turquoise, vintage Bakelite, or vintage rhinestones, which have softer surfaces and might get scratched. 2. Remove carpet stains. Scrub stains with a toothbrush and toothpaste. Blot with a damp cloth. Be sure to test a small section of carpet to make sure the dye doesn’t come off. 3. Clean up scratched DVDs and CDs. Gently dab a small amount of toothpaste on the scratch with a cloth and buff from the center of the disk outward toward the rim. Rinse with water and dry with a microfiber cloth. 4. Spiff up sneakers. If the rubber soles of your favorite kicks are getting scuffed, scrub them with toothpaste using a toothbrush or nailbrush. Ditto for white leather shoes. Be sure to do a patch test with white canvas. 5. Banish water rings on furniture. Oops, you forgot to use a coaster. Gently buff away the water ring with a small dab of toothpaste and a soft, slightly damp cloth. You may have to repeat the process a couple of times but don’t use too much pressure and overscrub. Test on antique wood to make sure you don’t damage the finish. 6. Clean the inside of grimy water bottles, baby bottles, and thermoses. We try to be green and reuse bottles, but what about when they get all gross with mysterious and unappetizing scum? Scrub with a narrow bottlebrush and toothpaste, and rinse thoroughly with hot water.